When TV celebrity Dinah Shore sang "See the USA in your Chevrolet," 1950s America took her to heart. Every summer, parents piled the kids in the back seat, threw the luggage in the trunk, and took to the open highway. 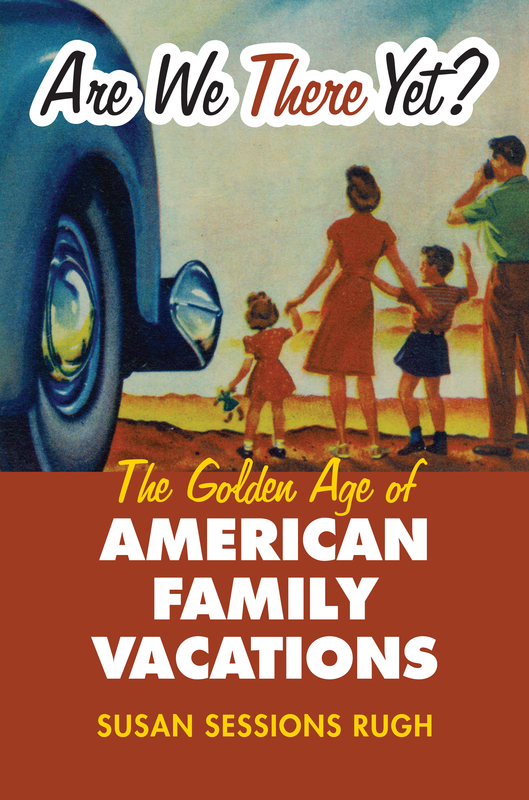 Chronicling this innately American ritual, Susan Rugh presents a cultural history of the American middle-class family vacation from 1945 to 1973, tracing its evolution from the establishment of this summer tradition to its decline. The first in-depth look at post-World War II family travel, Rugh's study recounts how postwar prosperity and mass consumption—abetted by paid vacation leave, car ownership, and the new interstate highway system—forged the ritual of the family road trip and how that ritual became entwined with what it meant to be an American. With each car a safe haven from the Cold War, vacations became a means of strengthening family bonds and educating children in parental values, national heritage, and citizenship. Rugh's history looks closely at specific types of trips, from adventures in the Wild West to camping vacations in national parks to summers at Catskill resorts. It also highlights changing patterns of family life, such as the relationship between work and play, the increase in the number of working women, and the generation gap of the sixties. Distinctively, Rugh also plumbs NAACP archives and travel guides marketed specifically to blacks to examine the racial boundaries of road trips in light of segregated public accommodations that forced many black families to sleep in cars—a humiliation that helped spark the civil rights struggle. In addition, she explains how the experience of family camping predisposed baby boomers toward a strong environmental consciousness. Until the 1970s recession ended three decades of prosperity and the traditional nuclear family began to splinter, these family vacations were securely woven into the fabric of American life. Rugh's book allows readers to relive those wondrous wanderings across the American landscape and to better understand how they helped define an essential aspect of American culture. Notwithstanding the rueful memories of discomforts and squabbles in a crowded car, those were magical times for many of the nation's families. Susan Sessions Rugh is associate professor of history at Brigham Young University and author of Our Common Country: Family Farming, Culture, and Community in the Nineteenth-Century Midwest.